Spinning platform and fun slide to speed to emergencies! Send the fire engine to the emergency! 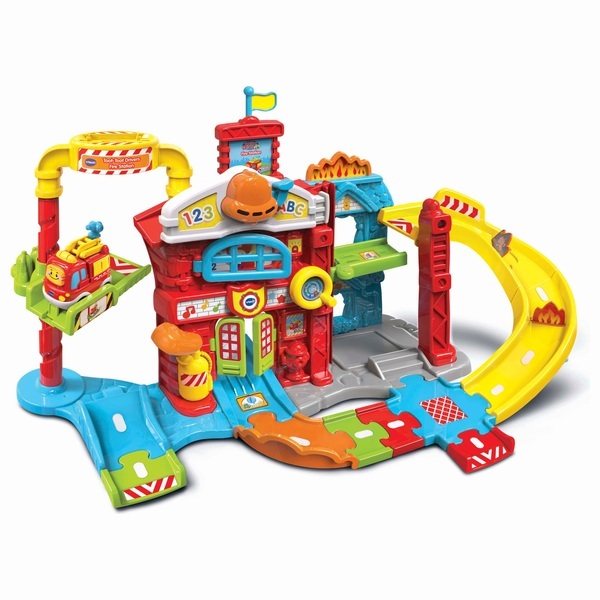 This VTech Toot-Toot Drivers Fire Station features lots of fun manipulative features, including flip-open windows, lift, water bucket, spinning hydrant and more. This fun play set includes a SmartPoint fire engine and 4 interactive SmartPoint locations that trigger fun responses when driven over. Encourage motor skill development and an awareness of cause and effect relationships with Toot-Toot Drivers!